After some slight technical delays, (MASTER ABBOTT! GET OUT OF THE BATHROOM ALREADY! ), the Capsule Computers Podcast is back and better than ever. This week, Dustin, Ben (aka Link), Matt and Phil bring you the latest gaming news and reviews. Are your eardrums prepared for awesomeness? Listen in as we discuss Killzone 3, Marvel vs Capcom 3 and the new Medal of Honor. Plus, hear our thoughts on game difficulty. Also, we go through some of the newest iPhone games. Finally, we also steamed up the podcast with a sick sur-PRIZE. As always, thanks for listening. We really appreciate it. Send your tips, comments, suggestions and other thoughts to podcast@capsulecomputers.com – We will read them on next weeks podcast. Capsule Computers Podcast Episode 021 – We’re Back! 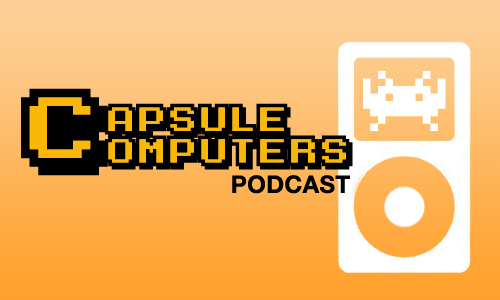 Capsule Computers Podcast Episode 097 – Conception SMASH!